I have written some of the GMAT mocks and my verbal score is fluctuating between V25 to V35. I am particularly facing issues with sentence correction. How to improve significantly on sentence correction? I have recently started going through MGMAT sentence correction book. Please share links to some good online resources also. I just used the OG and did problem sets of 10 where I would go back and look at each mistake to see why it was wrong. I took notes and slowly became aware of all the tricks that are typically used. You start to get a "feel" for it. MGMAT Sentence Correction guide is brilliant. It is a must do. It's not a one time read book. Read, make notes, apply, revise and re-read and go on. RON's notes and videos. Amazing they are. For Non-Natives - e-gmat SC is a saviour. Do all of the above three. While practicing learn a strategy and approach to tackle an SC question. MEANING is the first & MOST important part of an SC question, rest of the rules or anything comes later. The MGMAT guide is good for SC. I would suggest you to understand each concept tested in SC and try practicing them in OG questions. Also go through the gmatclub grammar book. 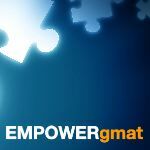 If you are looking for any courses you can check egmat or empowergmat.